Wicked Uncle is an online gift retailer with a little difference. It aims to be of help to those unsure what to buy or what is appropriate to a certain age. It covers all ages from babies to teens so there really is something for everyone. Rather than sitting for hours scrolling through pages of gifts, they are categorised by gender and age, don’t worry, lot’s of products are included in both boys and girls but it helps to segregate them by what is most popularly bought for the relevant category. Once you have chosen you are then given a large page of gifts to look through all of which will be age appropriate for the child you are purchasing for. There is a wide choice available from crafts to magic, stationery to gadgets and bath treats to edible items. I had a look through and chose a couple of items I thought my children would love to see what they thought. 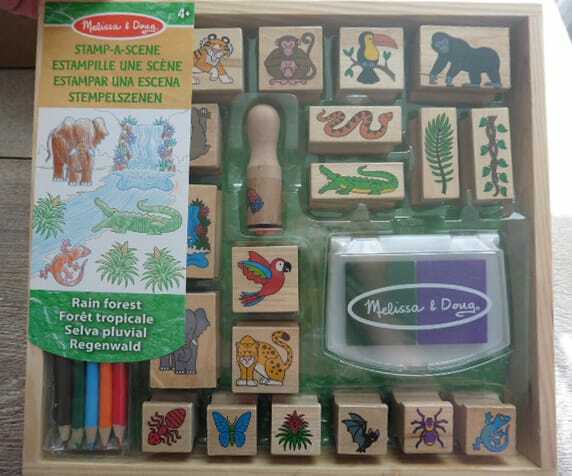 I chose the Melissa and Doug Rainforest Stamp Set as my two love stamping, particularly Mister B and I knew this was something he’d be happy to sit and do. Also they love animals and there’s lot of different scenes they can create with these. Retailing at £14.99, I thought it was great value with a total of 20 stamps, a double coloured stamp pad and pack of coloured pencils. They also come in a wooden tray style box which is great to store craft bits on a shelf. 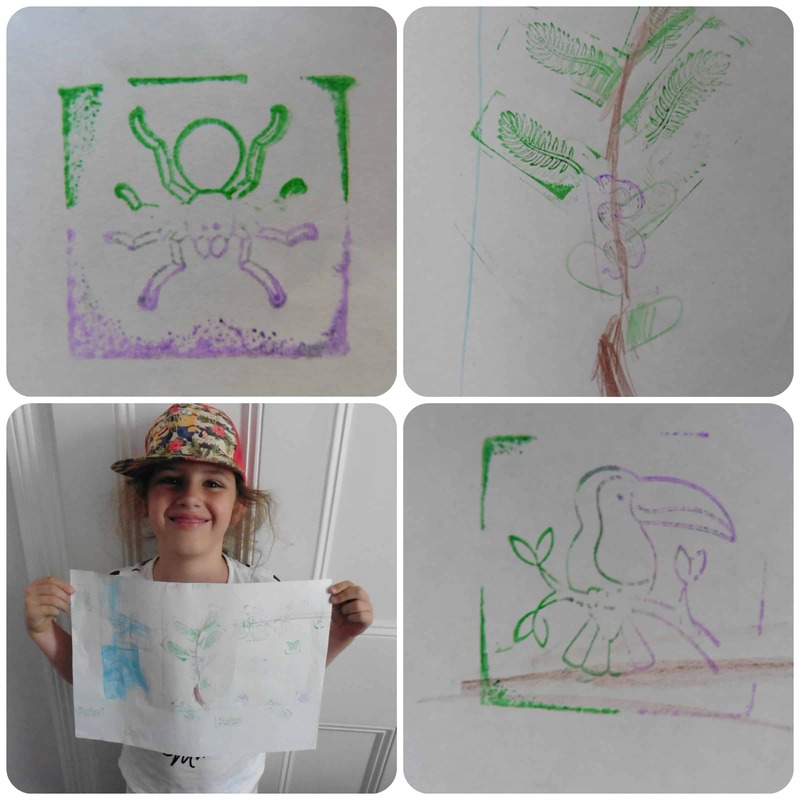 My two children were eager to get stamping when they saw this and I gave them each an A3 sheet of paper to get creative on. They soon realised that if they put the stamp over both colours of the ink pad they could get mulitcoloured stamps which they thought was fascinating. The stamps are all of great quality, being wooden means they look good too. The choice of stamps in this set is really good with a mixture of animals and some foliage designs too. 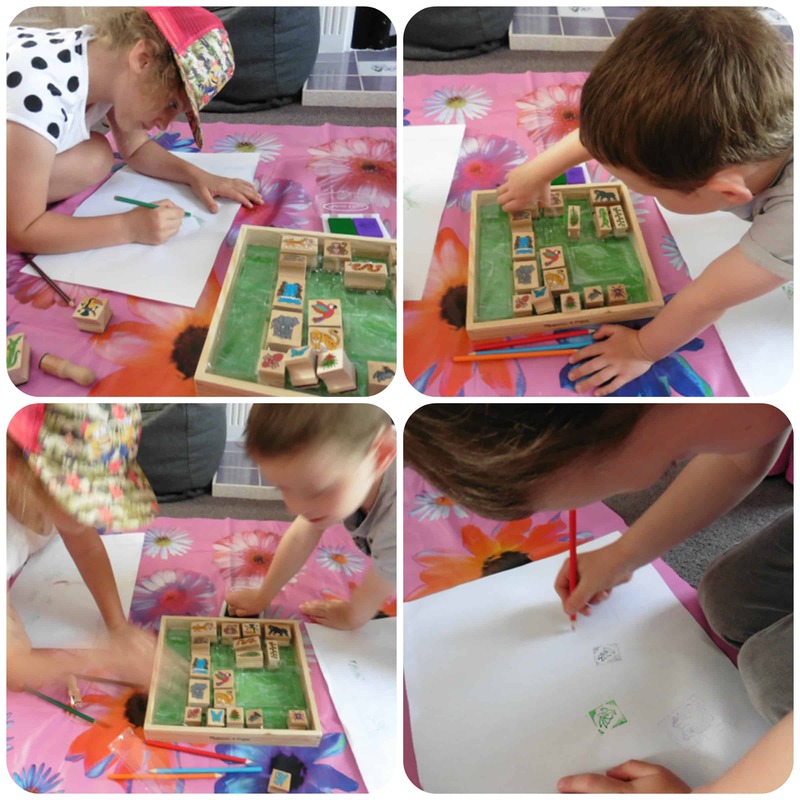 The children really enjoyed these and I think it’s a lovely set, one that I definitely recommend for anyone who fancies a go with stampers. We also chose something a little bit different to try out from Wicked Uncle, something practical that I knew Miss M would enjoy. 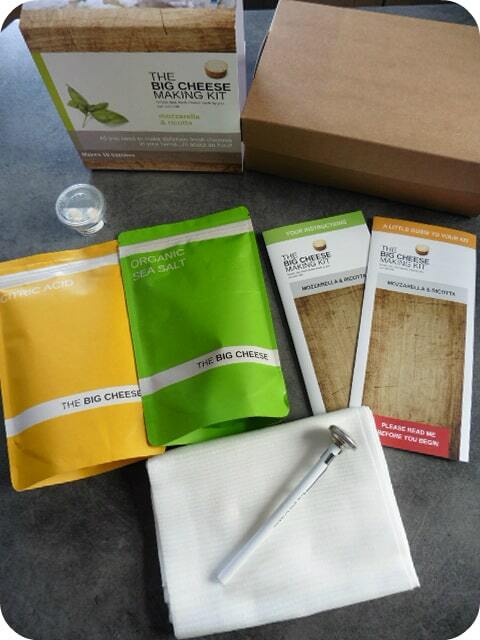 The Big Cheese Making Kit, allows you to make cheese in your own home and lots of it too! Miss M loves cooking and I wanted to pick something that was useful and I think this was just the right thing. At £22.99 this wasn’t cheap and when the box arrived, it was pretty small. Inside was a sachet of salt, sachet of Citric Acid, 2 rennet tablets, thermometer and muslin cloth. 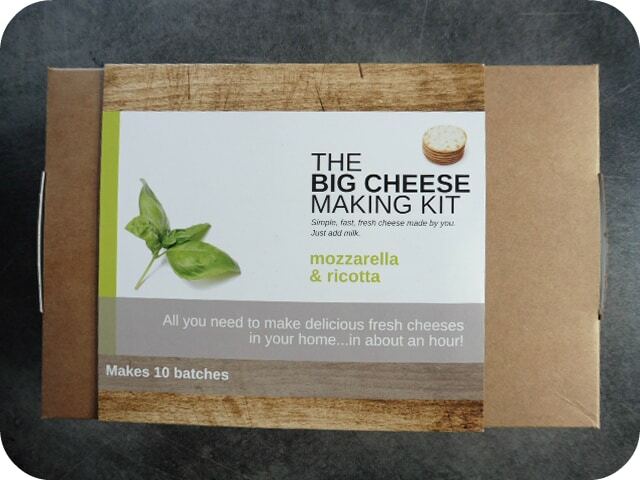 The kit enables you to make either Ricotta or Mozzarella cheese, all you need to add is millk, a LOT of it!! So was it worth it? We decided to try the Mozzarella cheese, which required 8 pints of milk per batch. I wasn’t sure how long it would take or how easy it would be but Miss M and I set to work. I actually found the whole process to be incredibly easy and it was more or less a case of simply heating the milk in a large pan, adding a piece of rennet tablet, salt and citric acid, then stirring continuously as the curds and whey separated. 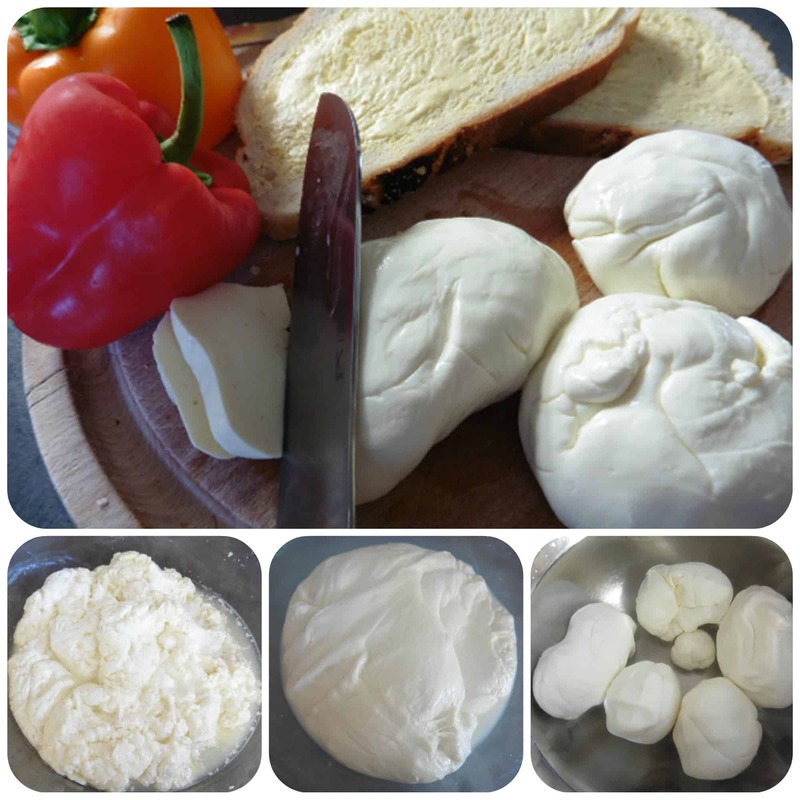 Once you have just the curds in a bowl, it needs microwaving to heat up at which point you need to wear gloves as the cheese needs to be stretched and kneaded until it becomes shiny which can then be broken up into balls of Mozzarella. We made rather a lot of balls of cheese with that one batch (not surprising considering we used 8 pints of milk) but the set does contain enough bits to make upto 10 batchs of cheese of this size. Obviously you need to add the milk each time but at £2 per batch I think it is pretty good value for the amount of cheese you get. Also bearing in mind that part of it is the experience and fun of doing so. We’ve enjoyed eating the cheese in salads and on puff pastry tarts with roasted vegetables. Obviously Mozzarella has many uses and in our next batch we are planning to make some pizzas with it. We also want to try making some Ricotta cheese for which you use the muslin to strain the cheese, I’m thinking spinach and ricotta parcels for mains and ricotta cheesecake for dessert! 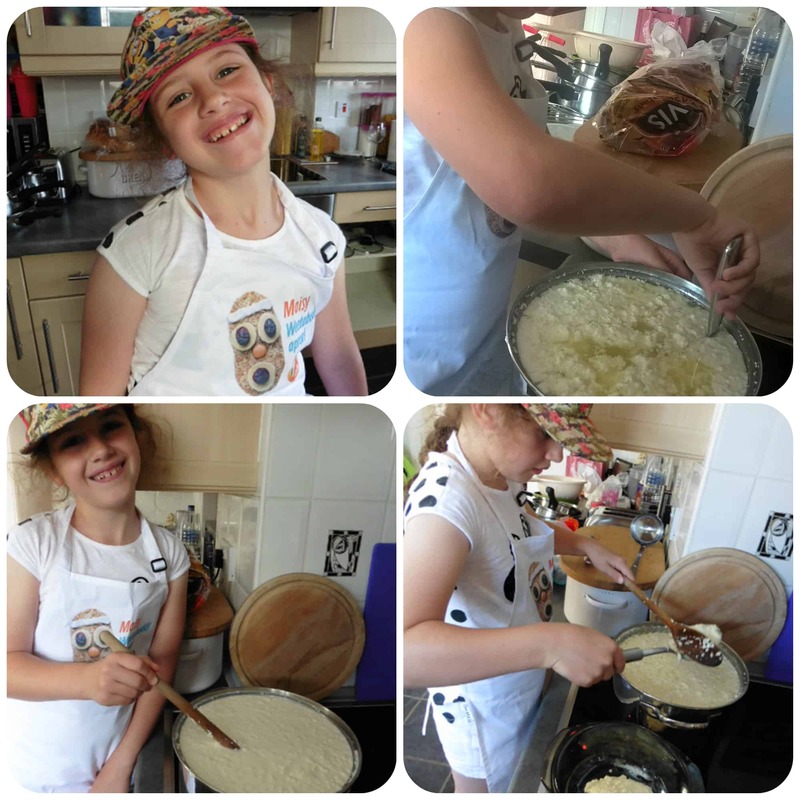 All in all I’m very happy with the cheese set, it was fantastic to try something new, a very different experience that Miss M loved helping out with and we had fun eating it! Why not take a look at Wicked Uncle, the choice of gifts really is vast with some really different things available that you don’t normally see!